Pretty winter fashion miracles transform your look instantly! 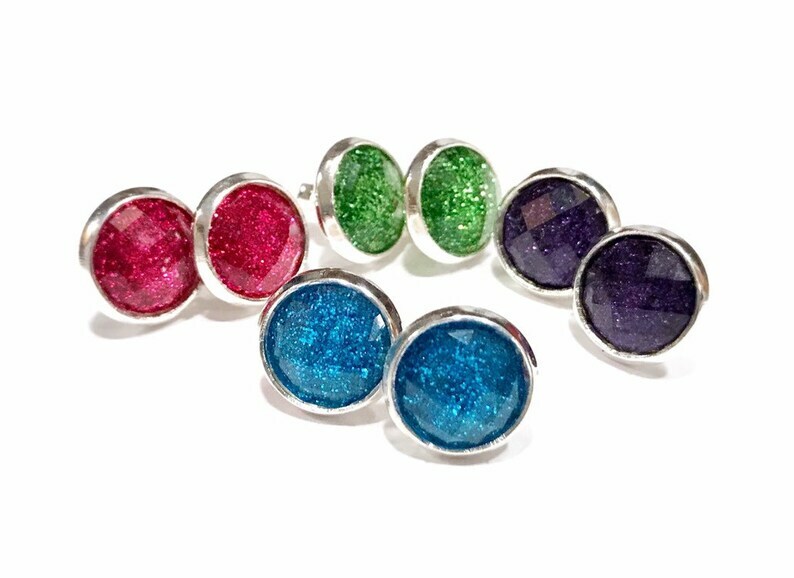 Brightly colored glitter resin stud earrings come in your choice of four bright colors: pink, blue, green, and purple. Earring surface is a clear faceted dome with fine glitter on bright silver tone metal. Size of earring diameter is 0.39” or 10mm. Please choose color in the drop down menu. Listing is for one earring set. Ready to ship item. Comes packaged on a heart shaped earring card inside a box perfect for gift giving. Gift wrap available at checkout for an additional fee.